Comparing and benchmarking social media profiles is done best with charts. That’s why we added an amazing new feature to our benchmarking suite. 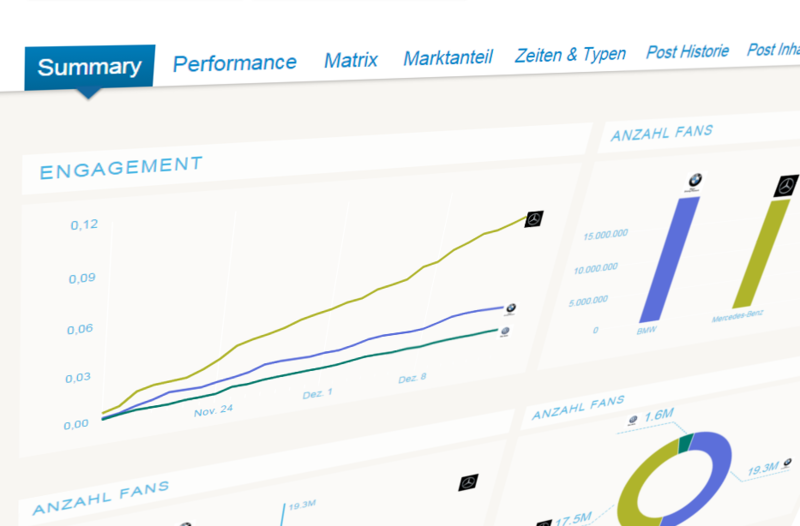 As metrics you can choose any metrics that is available in Fanpage Karma and add as many charts as you like. And even better: For each of your dashboards, you can create a different set of charts. With drag & drop you can rearrange your summary anytime. You can also use this summary to analyze past events. Just change the time period and get the data. But the best thing is: With just one click, you can export all charts to PDF and download it on your computer. Like this, you can easily create reports for you, your boss or your client. TIPP: Try it out now: www.fanpagekarma.com.